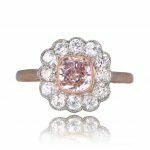 A natural and rare colored diamond engagement ring featuring a GIA Certified radiant cut Brown-Pink diamond, and SI2 clarity. The center diamond is bezel set in 18k gold. 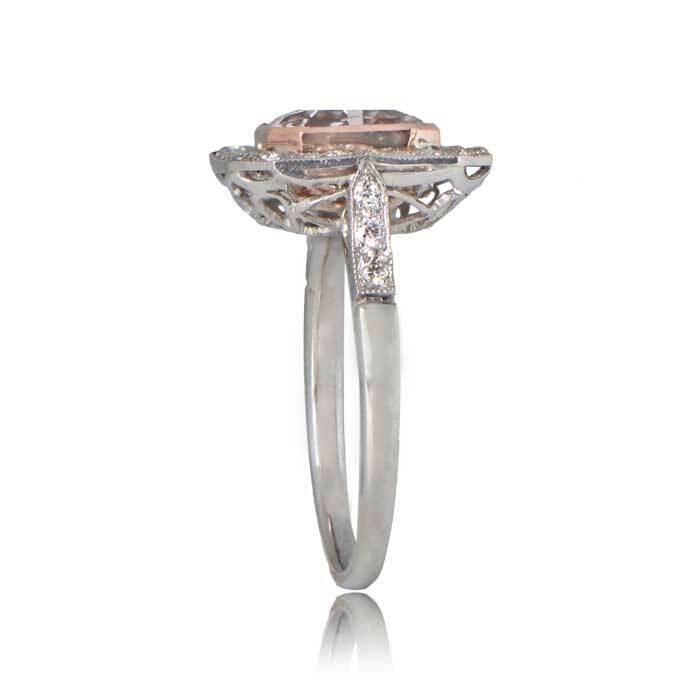 A diamond halo surrounds the center stone. This ring is platinum. 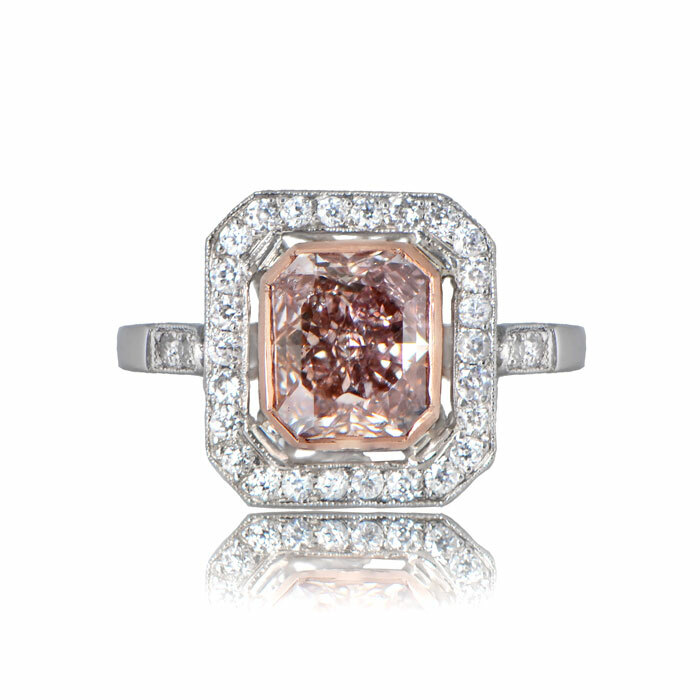 The GIA report states that this diamond is 1.66 Carats Brown-Pink Even, and SI2 clarity. A copy of the GIA is available upon request. 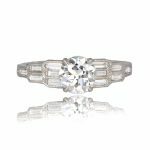 SKU: 11772 Categories: Fancy Diamond Rings, Vintage Cocktail Rings, Vintage Engagement Rings - Contact us and request additional pictures.